Notes: I was able to take a walk late this afternoon, after a meeting in Ingatestone. The sun had come out and I enjoyed the fresh air whilst looking for another geocache in the area. 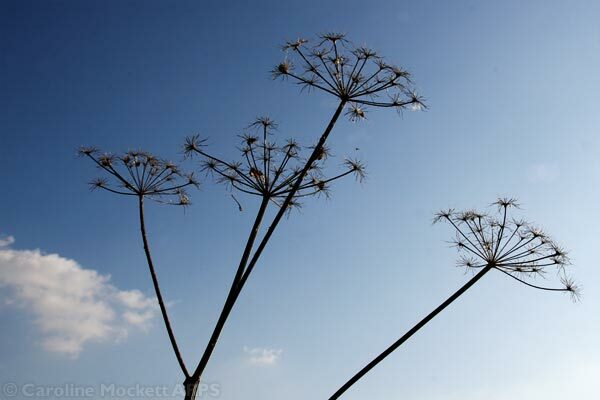 As I made my way along a bridleway, I found these long-gone seed heads standing out against the blue sky.